It seems extraordinary that Alberto Elena’s The Cinema of Abbas Kiarostami is the first book in English devoted to a reference-style coverage of Kiarostami’s filmmaking career, even if it is a translated and updated edition of the original 2002 Spanish version (1). There have been various books about Kiarostami’s films, such as Jean-Luc Nancy’s L’evidence du Film: Abbas Kiarostami (2001) and Alain Bergala’s Abbas Kiarostami (2004) (2). But Elena’s extensive bibliography makes clear how this large body of literature is almost exclusively either Iranian or European scholarship (particularly French and Spanish). It is striking how out of the game Anglophone writers have been when it comes to producing book-length studies of a filmmaker who is arguably the most important currently working. There have, of course, been many individual articles on Kiarostami by North American critics such as Jonathan Rosenbaum, Godfrey Cheshire and Gilberto Perez, British writers like Geoff Andrew and Laura Mulvey, and English-language articles by Iranian scholars such as Hamid Dabashi and Mehrnaz Saeed-Vafa. But to my knowledge the only book in English devoted to Kiarostami we have had until now is Saeed-Vafa and Rosenbaum’s Abbas Kiarostami (2003) – a volume which, while containing two useful essays detailing the US and Iranian perspectives on his work (as well as the authors’ interviews and discussions with and about the filmmaker), doesn’t try to be a methodical reference work charting the filmmaker’s oeuvre and related scholarship (3). It is Alberto Elena who has finally produced such a book. For less than 200 pages of main text, this study is certainly ambitious. He not only provides impressively wide coverage of international critical responses to the films, but also tries to formulate out of this discussion both individual readings of each work and ultimately a broad philosophical interpretation of Kiarostami’s art per se. Irrespective of whether one is convinced by these individual accounts and the ultimate positioning of such a hermeneutically generative corpus, I will be far from alone in welcoming such an overdue book. Elena stresses what he implies has been insufficiently explored in western responses to Kiarostami’s cinema, taking considerable care to situate it within the context of Persian art, poetry and philosophy. The charge that western critics have tended to treat Kiarostami’s films with “Eurocentric” terms of reference has been around for a long time. Over 15 years, some Iranian scholars, such as Dabashi (although he is ambivalent as a whole about Kiarostami’s work), and other critics in Iran have variously seen the filmmaker as a film festival show pony whose real audience is westerners desperate to have found a new world cinema genius, who they then exoticise and culturally essentialise while seeing and judging his films entirely through European art cinema eyes and minds. Western critics sceptical of the enormous critical success accorded to Kiarostami’s work have run this line more in terms of a perceived critical bias towards non-western filmmakers – from Roger Ebert’s “the newest foreign film emperor has no clothes” pronouncement, to more hostile judgements such as Howard Hampton’s criticism of Rosenbaum, Jim Hoberman and others for lauding Kiarostami while dismissing what he considers equal if not superior “slow and meditative” American films (such as David Lynch’s The Straight Story ) (4). On the other hand, in lauding the director’s work for many years in the US, Godfrey Cheshire has admonished commentators such as Rosenbaum for being too European in their references and understanding of Kiarostami’s work, himself offering quite a pedagogical emphasis on the Persian cultural context he says one needs to understand the films (5). Rather than a radical new position, then, Elena’s central assertion and grounding methodology amount to a substantial book-length contribution to the last few years’ prevailing emphasis on cultural context within the critical literature. But even if reacting against “Eurocentric” hermeneutic and aesthetic analyses, an over-emphasis on the Iranian context by western scholars can itself easily slip into reducing the films (no matter how sophisticated the discussion) to objects of cultural anthropology, and falling into the old trap of Orientalism. Elena charts a careful course in this respect, if at the price of an at-times fragmented and occasionally unclear argument. Although he flags the emphasis on Persian context, Elena’s book uses famous titles of mainly European art films – Before the Revolution (Bernardo Bertolucci, 1964), The Eclipse (Michelangelo Antonioni, 1962), Through a Glass Darkly (Ingmar Bergman, 1961), La Règle du jeu (Jean Renoir, 1939), All About my Mother (Pedro Almodóvar, 1999) – as chapter and sub-section names. Unaddressed beyond a single sly mention, this playful trick exemplifies Elena’s multi-dimensional but also possibly contradictory approach. At the same time it refreshingly implies that an emphasis on Persian context shouldn’t stop the author from being honest – and very conscious of the fact – that he is, by virtue of the intense interest in Kiarostami’s work, positioning these films within a “world cinema” context debated and asserted by generally like-minded cinephiles, irrespective of Kiarostami’s (or Iran’s) own relationship to those questions. One of the book’s countless (and, to my mind, at times excessive, indicating an over-reliance on the authorial “word”) quotes from the filmmaker has Kiarostami saying in 1990: “I don’t think I’ve seen more than 50 films in my whole life.” (p. 15) His connection to other films and international cinemas is made early in the book, though mainly – as is usual in discussions of Iranian cinema – with Italian neorealism, Elena telling us that the filmmaker’s “real interest only began when he was thirteen or fourteen, with the arrival of neo-realist Italian films; for the first time he could see on the screen people who were recognisably like those he saw in everyday life.” (p. 15) (6) In the main, the book’s efforts to affirm a political and philosophical core to Kiarostami’s work are through a close discussion of the films, their cultural context, and the array of responses they have elicited. Kiarostami’s deceptively complex sound-images and “philosophical” approach have caused frequent comparisons with “mystical” filmmakers such as Andrei Tarkovsky and Robert Bresson. Irrespective of substantial aesthetic, conceptual and cultural differences, a lot of western writing on Kiarostami seems to position him as the Iranian equivalent to such directors by virtue of a supposedly universal austere, “spiritual” poetics and moral commitment. In my view, the take-it-or-leave-it prescriptive value of a spiritual cinema closes off debate and asserts ownership of the films by a select discourse, ultimately not doing Kiarostami (nor Tarkovsky or Bresson) any favours by possibly reducing their work to schematic, morally and metaphysically loaded texts (7). 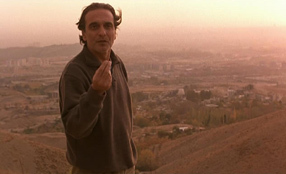 Even if Elena’s discussion of religion and spirituality comes across at times as a little confused (such is the breadth of sources engaged with), he generally offers a sophisticated take on the loaded question of spirituality in Kiarostami’s films, thanks often to the emphasis on context. For example, he notably informs us of what I see as a most telling congruence between liberal western film critics and the far-from-liberal Iranian government, who after cementing power following the 1979 revolution asserted that filmmakers ought to seek a properly spiritual and religious cinema, with Tarkovsky specifically offered as a model (p. 54). Elena spends much of the book trying to emphasise the spiritual and artistic traditions that inform Kiarostami’s work, by asserting a mystical cinema that can be read as a radical counter-narrative of Islamic culture that is violently antithetical to fundamentalism. In this way, he seeks to differentiate “good” from “bad” spirituality through a distinction between mystical Iranian poetry and thought, and religion – clearly favoring the former for its aesthetic complexity and progressive philosophical dimension (8). Like everyone it seems (no matter what their angle), he uses Kiarostami’s own words to support the argument, noting how religion easily becomes fanaticism and lacks the sense of a “search” and mystery, being “behind the times” and merely following “in the wake of Iranian thought” (pp. 77-78). While such a point asserts in this cinema’s metaphysical suggestiveness some progressive political implications, to read the films in accordance with the director’s own extremely varied statements can result in an a priori hermeneutic framing that suppresses their troubling ambiguity. Elena covers Kiarostami’s 1970s and early ’80s cinema prior to his “discovery” in the West by charting points of continuity with the more famous later films, but also informatively highlighting its rapidly changing, unstable cultural and political context. The most dramatic example in this regard is First Case, Second Case, made during the 1979 Revolution. Besides various attitudes to the film’s coverage of events (especially in showing leftist and moderate leaders who would soon be outlawed), by showing women without hijabs (as enforced in the late Shah era in order to “modernise” the country’s image) this portrayal of Iran’s political and cultural identity very quickly became anathema to the post-revolutionary regime, and was soon banned (9). The extreme self-reflexivity of Close-Up (1990) often leads writers to downplay what is surely Kiarostami’s most clearly political and socially engaged work. Elena mainly seeks to draw out a deep, progressive humanism in the film by describing Mr Sabzian as a quintessential Kiarostami “hero” driven “by an overwhelming desire, the passion for cinema in this case, which lead him to transgress against the rules of society.” (p. 84) Here for Elena lies not a traditional portrayal of the everyman living by social rules, but an outsider who severely transgresses them in the name of an abiding passion or moral conviction (pp. 87-88). Working this theme into a discussion of Close-Up’s formal maze, Elena suggests that the more the viewer is forced to actively contribute to the film in its breakdown of documentary/fiction distinctions, the more such hermeneutic and perceptual engagement becomes increasingly challenging as “the audience must continually reorder the scenes that they are shown on the screen, change their perspectives and question their perceptions, in an uncomfortable but productive state of uncertainty.” (p. 88) This process is perhaps clearest in the justly famous final sequence in which Mohsen Makhmalbaf’s lapel microphone seemingly breaks down when he meets Mr Sabzian (who has been tried for fraudulently impersonating Makhmalbaf) upon leaving jail, before they ride through Tehran on a motorbike (11). Elena highlights the increasingly massive “gaps” or “nothingness” with which the viewer is confronted in Kiarostami’s mature films, citing the long sequence early in Close-Up when, rather than go inside the house (as we would narratively desire) where Mr Sabzian is being arrested, the camera leaves us outside with the taxi driver (who will play no further part in the story) as he waits and eventually kicks an empty can down the street, which the camera obsessively follows for some time (p. 88). The frustration of denying us knowledge as to what is going on (the “action” is definitely elsewhere) and its replacement with an apparent “nothing” image or sequence is one of the keys to Kiarostami’s cinema. While Elena happily approaches this potentially troubling issue and its possible implications on many occasions, he tends ultimately to assert a more “hopeful” humanist position when discussing the films’ final images. Like most critics, he sees the end sequence of Life and Nothing More… (1992), when the protagonist stops to pick up a stranger on a patented Kiarostami zig-zag mountain road even though his car may not start again, as symbolising the ethical culmination of a “spiritual journey” whereby the protagonist comes to a more “open” engagement with the social and natural world beyond his hermetic everyday concerns. Elena says here it is not the protagonist’s success or failure in reaching his (until Ten, it is always a “he”) destination that is at stake, but rather “a profound personal experience” that leads us to “a magical place of revelation and self-knowledge” (pp. 102-103). What this knowledge is supposed to consist of is far from clear, beyond an ethical transformation that makes for a happy, or at least “accepting”, conclusion with particular emphasis on respect for others. Irrespective of the discussion’s argument or quality, Elena is far from alone in the tendency for western critics to affirm Kiarostami’s films by seeing the endings in this way. For this viewer at least, they can offer far less traditionally “positive” implications (12). The search for positive visions of a seemingly more devastating world reaches an apotheosis with the discussion of Through the Olive Trees (1994). Elena pins his whole framing on a very prescriptive reading of the final shot, asserting that the film’s formal radicalism and layering (the impact of which he, in the process, underplays) “should not cloud our basic recognition that the film is above all … a love story.” (p. 107) Considering both the film’s generative hermeneutic potential and the social milieu we’ve seen played out on screen, I suggest that the famous ending is far less conclusive than Elena makes out, and hence the whole film can be read very differently (13). He quotes Kiarostami in a passage that ultimately I think actually subverts such a willfully positive ending, by framing it as an impossible dream. The filmmaker admits he wanted a happy ending, but warns that within the cultural mores of the reality he is essaying, it is impossible, describing the film as “a tale of social injustice, frustration, forbiddance and stifling tradition.” (p. 110) This idea can be seen as something of a sobering subversion of the desire of many critics (including Elena) to see transformational arcs in these films by framing “positive” endings as a wishful dream that is hopelessly butted up against the doggedly resistant world Kiarostami’s camera shows. Elena and others see the ending of Olive Trees as “happy” on a metaphysical level: in fact, as Edenic, with a figurative “new couple” emerging out of the symbolically religious olive trees to start the world again, somehow transcending the restrictions of a very traditional cultural real (p. 113). If his prescriptive thematic reading of the final image requires some bracketing of its ambiguity, Elena is more convincing (if also contradictory) when he emphasises the more radical perceptual implications of this immensely long shot. 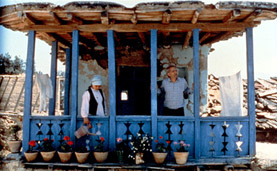 Although the worthy ethical dimensions of what he calls Kiarostami’s distanced, “respectful” gaze upon the world and its human beings (p. 114) are sometimes overstated in the book (as in much Kiarostami scholarship), Elena is surely right in describing the film’s ultimate image as enforcing a view of uncertainty from a perspective that denies us knowledge of what is actually happening (pp. 114-115). But this gaze is more than epistemologically destabilising: given full impact and engagement, both one’s hermeneutic efforts and any presumptive “message” ascribed to the film will become seriously subverted. This void is first of all the non-linear car journey itself, and the circular driving-discussions Mr Badii has with his three different passengers (all of whom advise against his desire to commit suicide), but it is then given literal expression with the long interlude that Gerenaz Moussavi calls an exemplary Kiarostami “dark-screen” sequence – the long period of black between the first, 35mm part of the film, and the second, brief section shot on video (16). Yet death has defined the film all along, not only because of the apparent theme of suicide, but as effected by the abject alienation expressed by the protagonist – a feeling Elena and others, such as Rosenbaum, have suggested has been exacerbated in the performative and formal dimensions by the odd method of filming whereby neither Mr Badii nor his passengers were ever together in the car – but rather with Kiarostami himself, behind the camera (p. 128). Although cautioning against seeing the apparently naive carpe diem sentiments offered by the taxidermist as the “message” of the entire work, and emphasising well the film’s disturbing conceptual heart, Elena ultimately tries to read Taste of Cherry’s famous video epilogue in a positive light – though a more radical one in line with the challenging film that precedes it. After addressing many religious and spiritual interpretations of the final sequence, he says the film’s message ultimately involves a rejection of religion, or any other moral discourse, as the ultimate authority on the matter of suicide or by implication any other issue. This radical vision is such that, as Elena quotes David Walsh, “this is a film that any existing regime would find disturbing” (p. 137). Contrary to those who assert that the film’s ending is conceptually consistent with the previous 90 minutes, Elena argues that the 35mm part of the film is a genuine journey into the void – the circular driving, and then the literal abyss of the black screen – with the video section offering a completely new sense of harmony and beauty, as he quotes Kiarostami, “where the soldiers instead of weapons, hold flowers in their hands.” (p. 140) Elena’s final summation considerably lessens both the majority of his discussion and the film itself through insisting on a transformative arc when he says, “Taste of Cherry tries to offer a kind of Utopian vision intended to extract, out of pessimism, suffering and the tragic experience of existence, a form of comfort, or a lesson, which can ultimately help others to redirect their lives.” (p. 142) I would suggest that the ending, while appealingly “progressive” when seen as suggesting solidarity through filmmaking (the video images of happy cast, crew and soldiers together in a utopian, virtual public space as posited by critics like Rosenbaum) or Elena’s radical moral freedom, should also be seen for what it is: imaginary space, an impossible dream. Although the film’s tone might appear more conducive, this kind of thematic reading is for me as unconvincing as the “heavenly” (be it cinematic or literal) interpretations of Taste of Cherry’s final minutes appropriated by Elena. Yet such moments notwithstanding, in his analysis Elena discusses most extensively the darker strains of modern Iranian poetry in seeking to evoke the deceptively radical aesthetic-conceptual makeup of The Wind Will Carry Us. Forugh Farrokhzad’s life and work are addressed in particular, due to her prominent quoting in the dark cellar scene that provides the famous centre point of the film (p. 162). One of the great strengths of Elena’s book is that irrespective of one’s personal position vis-à-vis the author’s ultimate take on particular films, he charts very well the way in which the films force critics to reassess previous positions (even if not always heeding such advice himself). Ultimately, Elena’s extensive quoting and discussion of others’ arguments (making up well over half the book) as well as extensive contextual analysis of his own, along with an expansive bibliography, notes and filmography, make for a fine reference text indeed. However, Elena’s own reading of and across the films is not always as clear or well developed as it could be, not consistently entering into the kind of retrospective re-reading that he suggests Kiarostami’s cinema forces upon us. As it stands, his argument comes across as a little fragmentary but also at times unpersuasive, mainly due to lack of space devoted to its exegesis and through sometimes seeming to fall into the trap he has only just described in the extensive, rigorous discussion of others’ work. Just as Elena often concludes his rich discussion of individual films on a willfully “positive” note, so the move is repeated at the end of the book itself. Considering the dire political state not only in Iran but also across much of the world right now, it is perhaps understandable that he wishes to finish on such a sentiment. Yet while I fully support some real-world political sobering within a study such as this which emphasises cultural context, Elena’s message is ultimately couched in the bland and in many ways problematic (notably the implications of “tolerance”) jargon of today’s official, if embattled liberal humanism – that which appears to be having little effect on conservative governments no matter where they reside. It also seems to reduce or even contradict many of his book’s achievements – not to mention the rewarding complexities and challenges of Kiarostami’s cinema itself. My qualifications and personal reactions notwithstanding, this book is timely, generously detailed in discussion, and absolutely essential reading – a compelling and worthy reference text devoted to a filmmaker I am far from alone in considering the most aesthetically rich and philosophically engaging director working today. The Cinema of Abbas Kiarostami, by Alberto Elena, SAQI Books (in association with the Iran Heritage Foundation), London, 2005. The Spanish edition is Abbas Kiarostami, Ediciones Catedra, Madrid, 2002. Jean-Luc Nancy, L’evidence du Film: Abbas Kiarostami, Yves Gevaert Editeur, Brussels, 2001; Alain Bergala, Abbas Kiarostami, Editions Cahiers du Cinèma, Paris, 2004. Mehrnaz Saeed-Vafa and Jonathan Rosenbaum, Abbas Kiarostami, University of Illinois Press, Chicago, 2003. Cheshire has published extensively on Kiarostami, but his comments and arguments regarding the necessity to situate the films in a Persian context are most strongly asserted in the polemically titled article, “How to Read Kiarostami” (Cineaste, vol. 25, no. 4, September, 2000, pp. 8-15). He is closely connected to my first experience of a Kiarostami film, giving an excellent lengthy introduction to Close-Up upon its very belated release in New York (also screening his own video copy of the fascinating Close-Up Long-Shot documentary about the star of the film, Mr Sabzian, and his experiences since becoming a movie star in Iran), followed by a long and intimate discussion in the cinema and at the adjacent bar. 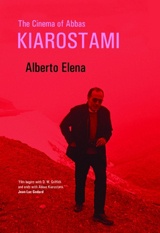 By and large, Elena manages to avoid not only reductively Eurocentric dimensions within his multi-layered approach, but also an over-simplification of the Italian films that often results from such comparisons – as well as the similarly reductive impact such discussions have on Kiarostami’s work. While the subtle reflexivity of 1940s Italian films such as Paisà (Roberto Rossellini, 1946) and La Terra Trema (Luchino Visconti, 1948) is often elided when neorealism is invoked as a kind of naive humanism (as Elena reminds us of the schematic nature of the western opposition between “naive” and “modernist” approaches to representation, asserting that they do not apply in the Persian tradition), so too is “humanism” both overplayed and simplistically understood as often posited with the neorealist comparisons. While generally avoiding these traps, Elena still refers to neorealism without a great deal of supporting discussion. I have always thought such comparisons are often superficial at best and not especially productive, underplaying genuine differences. Not only are Kiarostami’s aesthetics more sophisticated to my mind, but his films’ approach to a political and philosophical position is also a lot more elliptical and hermeneutically challenging than even the finest of the ’40s Italian work (most of which is motivated by vaguely, though clearly, Marxist or Catholic-Socialist humanism). Elena sees Kiarostami’s mystical and artistic inspiration as Islamic, but a very different kind to that practised by the government; it is, rather, an Islam of tolerance, acceptance of others and difference, and opposed to moral puritanism, hypocrisy and autocratic power (p. 190). Various leftist groups, most notably the Communist Party (the leader of which is shown in the film), and non-fundamentalist Islamic factions played major roles in the overthrow of the Shah (who had been in power since being reinstated in covert CIA operations after Iran’s democratically elected secular president tried to nationalise the country’s oil in 1953). But these forces were soon outmanoeuvred, imprisoned, banned or killed once the most conservative religious factions gained control of the new government, establishing a theocratic regime. Kiarostami makes this point without any shame or reflection during the documentary accompanying the French MK2 DVD edition of the film. It’s worth noting that the supposedly gritty and naive Italian neorealist films weren’t unknown to utilise reconstruction (and even some studio shooting) either. 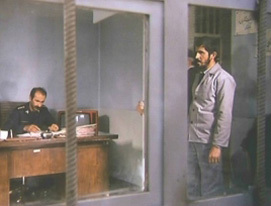 If many viewers doubt the coincidence whereby Makhmalbaf’s mic fails during what is presented as a one-take scenario (we hear the hidden film crew in the truck lamenting the technical mishap while they “secretly” film from afar), they are either frustrated or stunned by the choice whereby the distorted conversation about which we can glean nothing drops in and out (until finally the first non-diegetic music of the film appears on the soundtrack instead). Elena quotes the director with an amusingly prosaic explanation for this choice, saying that the conversation between the “two Makhmalbafs” just wasn’t very interesting (p. 90). This apparently banal, practical reason reveals much – not only about Kiarostami’s working methods, astute judgment, and (most importantly) his solutions, but also about the very real-world “lack” (the unsatisfying conversation, if Kiarostami is to be believed) where viewers might have expected emotional and narrative-thematic catharsis to play out, and which the filmmaker “covers over” with his trademark playful-yet-disturbing formal bravura. I would even argue that these spiritual journeys, culminating with the supposedly revelatory experience of Behzad in the Kurdish village of The Wind Will Carry Us, are usually backed up by little argument at all by those who assert such readings – even in the case of a generally well-detailed, rigorous scholar such as Elena. It is far from clear, I suggest, that characters like Behzad experience any life-changing epiphanies at all. We watch for a very long time the young protagonist run after his thus-far unrequited love through the olive trees and onto a grassy plain, until the two figures become tiny white dots in the distance, abstracted against the green, whereupon they seem to eventually meet and stop before separating again. What we presume is the male dot runs back towards the camera. Although Elena notes that the “audience’s disorientation is increased still further when Kiarostami makes sudden leaps in the story”, like other critics I’ve come across (the few of them who even mention it) he glosses over what for me is perhaps Kiarostami’s ultimate ellipsis, in describing the astonishing moment when we are introduced to the taxidermist simply as a “disconcerting jump cut and we hear his reflections before we have the least idea of who he is.” (p. 125) Similarly, the extraordinary preceding sequence that I feel is in many ways the formal and thematic epicentre of the film in which Badii sits in a cement site as he slowly gets covered in dust, is all but overlooked in Elena’s analysis. At the Imagining Iran symposium at UNSW in Sydney on 18 November 2005, which I co-convened, I presented a paper entitled “Into the Void: the Dark Side of Kiarostami’s Taste of Cherry”, the title of which is appropriated from Elena. I read the film as the epicentre of a seldom followed-through nihilistic strain in Kiarostami’s work – one that, while here gaining its clearest and most confronting expression, is active across his oeuvre. I contend that western critics consistently downplay this side of the films due to their preference (in varying degrees) for emphasising a redemptive spirituality and transformativity. This is often, I think, motivated by western desires to find more “authentic” and genuine artists and texts perceived as no longer being possible in a materialist, capitalist West – for many critics, Kiarostami having the added Romantic “bonus” of working within a repressive political-theocratic environment. Geranaz Moussavi, “The Essential Interactivity of Kiarostami’s Half-made Cinema”, paper delivered at the Imagining Iran symposium, UNSW, 18 November 2005. A good example of this more sceptical reading is Elena’s account of the protagonist, Behzad, in his repeated traversal of the trademark zig-zag hillside path to get reception on his mobile phone, treated by many critics as obviously implying a gradual moral awakening. Instead we are offered the idea that “this clearly symbolic upward movement, away from the flat landscape where he finds himself lost, to reach (supposedly) a higher level of awareness, does not…produce the desired result – not, at least, for a good proportion of the film, as these trips are no more to Behzad, a slave to technology, than irritating and inconvenient…” (p. 157). I agree, feeling that part of what makes this film the most subtly subversive of Kiarostami’s oeuvre is its deceptively nihilistic undermining of any redemptive desire on the part of the viewer. Such quiet negation makes the film both more radical and suggestive of alternative possibilities to the often-hackneyed ethical imperatives that so dominate Kiarostami scholarship. Geoff Andrew, 10, BFI Publishing, London, 2005. Surely Gilberto Perez (at least out of context as quoted by Elena) is wrong for many viewers, even including some Kiarostami aficionados, when he says: “[T]here is nothing pretentious or abstruse about Kiarostami’s films. They are unaffected and uncomplicated; they make no such demands on their audience as would divide the knowing from the unknowing” (p. 188). Though living in Australia, Geranaz Moussavi goes back to Iran every year and knows Kiarostami personally. She has asserted a similar point, telling me that Khatami’s apparent failure to bring about long-standing, significant reforms has had a devastating effect on the morale of artists, intellectuals, young people and a huge proportion of the population who thought there was at last going to be some change.